Every election we are reminded by civic and religious leaders to be informed voters. We need to know the candidates vying for public office and the positions they hold, the political parties and their platforms, the state propositions and their pros and cons. We are expected to be serious and thoughtful in the exercise of our right and duty to choose our representatives and the policies that will guide the common good at the local, state, and federal levels. This is all true and good, as far as it goes. But before we know who is running for office, before we get into the issues and challenges of our time, there is another level of formation and information we need to start with: the content of our conscience. 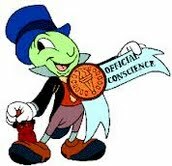 “Conscience is a judgment of reason whereby the human person recognizes the moral quality of a concrete act…(Catechism of the Catholic Church, 1778). People are quick to point out the Church’s teaching on the primacy of conscience, that one “is obliged to follow faithfully what he knows to be just and right” (CCC ibid. ), giving permission, so it seems, to do whatever one wants even if the Church teaches otherwise because conscience trumps all else. So then, what’s really involved in conscience formation? By using the Catechism of the Catholic Church, the US Bishops’ document Forming Consciences for Faithful Citizenship, and other sources, let’s consider what we are supposed to be doing as we approach not only this election but any area of our lives, public or private, where choices have moral consequences. Fr. Chris Heath was born in 1961, attended public school until his junior year of high school when he entered the minor seminary in San Fernando. He was ordained a priest 24 years ago on October 1, 1988 for the Diocese of Orange. After several assignments as Parochial Vicar in the diocese, Fr. 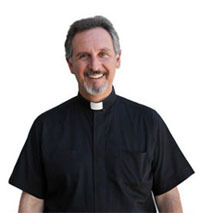 Heath was named the first diocesan priest pastor of La Purisima Church in Orange (El Modena) (2002-2006) where he oversaw the building of a new 1200-seat church, improved the finances of the parish and school, increased the membership of the parish and the size of the parish’s geographic boundaries, and led the people through some tough spiritual and community problems. Now he is a Parochial Vicar at St. Edward the Confessor Church in Dana Point. He is a law enforcement chaplain, and sits on the boards of two charities: Military Children’s Charity, and Ave Maria Catholic Donations. He has been known to write the occasional article in the Catholic Business Journal Online, has appeared on EWTN radio with Barbara McGuigan, and sometimes one or another of his homilies gets passed around the county/internet.